Haining Industry Group Co., Ltd.
3w/5w/7w. 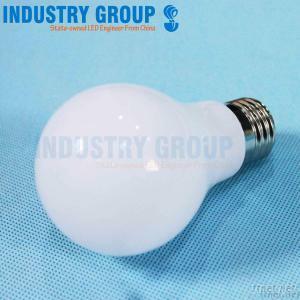 a NEW LED BULB REPLACE the INCANDESCENT G60/A60/A19 BULB DIRECTLY. Beam Angle ≥310 degree, wholesale! 1. the weight is net weight, 5% deviation is aeecptable. 2. Lumen test in 6500K color tempt. 1. a new 360° LED bulb replace the incandescent G60 bulb directly. 2. Energy saving: Compared to ordinary fluorescent lamp, LED save 80% energy. 3. Long lifetime: more than 25, 000hours. 1. All the prices are FOB Shanghai, China. 4. MOQ: 100pcs. Less than MOQ will be samples order. 5. for samples order, less than 10 bulbs are free, you should pay for the freight only. 6. Package Details: Quote on white box, Double lister will be 0.1USD more.